Made up of the side sections of our ADRENALINE RUSH. 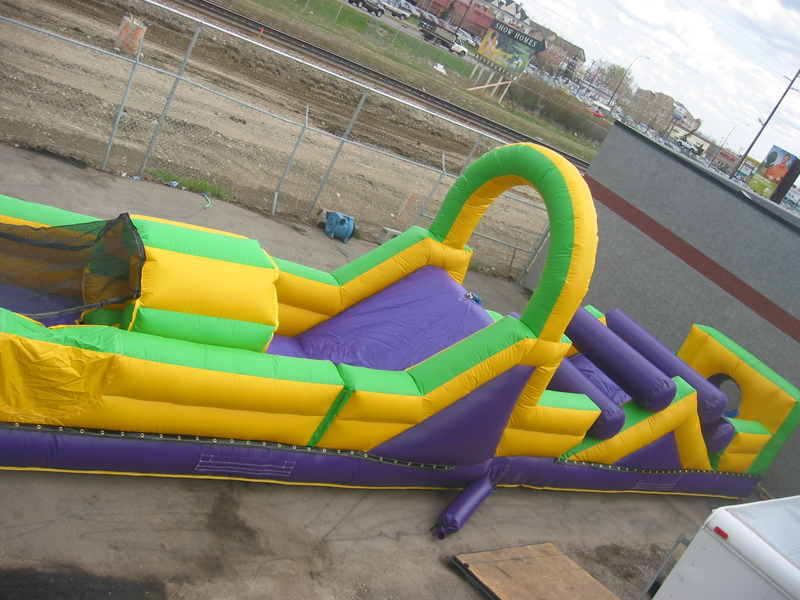 These 40 ft long “single entry” obstacle courses can be rented separately for entertaining your guests with climbing, crawling and jumping fun or join the 2 sections together to make an 80 ft long “L-shaped” obstacle course for double the fun. Rentals are for up to 8 hours. Package Deals and Discounts are available for this unit upon request. Call 801-568-9209 or email info@jumptownutah.com for details. Prices include Delivery, Set-Up and Take Down from PROVO TO SALT LAKE. Mileage rates may apply on all other rentals. All Non-Grass-Outdoor Set-Ups require Tarps and Sandbags for anchoring purposes, charges apply. A 25% Deposit is required to secure bookings, fully refundable if we are not able to deliver due to the weather or if cancellation is made 7 calendar days prior to the rental. Full payment is due upon delivery. Visa, MasterCard, Amex, Check or Cash. Sufficient dedicated power source within 80 ft of unit(s). No - Will need to rent generator(s). After submitting this form you should receive an email at the email address you've specified, which confirms that our system has received your submission. If you don't receive this email for some reason, please contact us to make sure we have received your reservation request. Thank you. © 2019 Jumptown Utah. All Rights Reserved.